“Not that one… It’s blurly.” My three-year-old granddaughter has been using my phone to snap pictures early this morning. 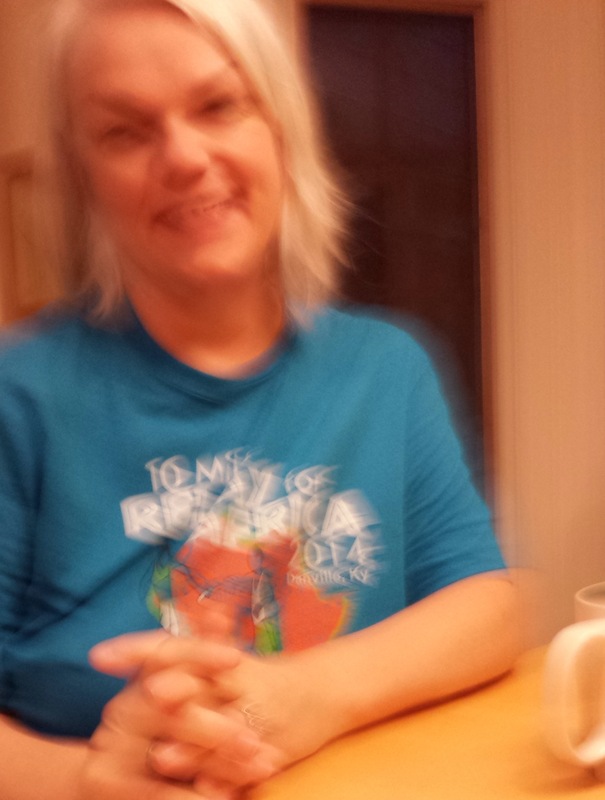 I told her that it was okay… “I’m kinda blurly myself this morning.” A little out of focus. A little fuzzy around the edges. I think that’s how our faith can get sometimes. Blurry. Out of focus. Fuzzy around the edges. We know we believe in God. We go to church. We pray. But maybe we’re on autopilot, just going through the motions. Maybe that’s why it’s called “practicing” our faith. Like this picture, we know what our faith is supposed to look like, but we have to squint to try to see it clearly. We fear that some of it is our imagination. Romans 8:29 says that God’s children are “conformed to the image of his Son.” Somehow, I don’t think our faith can be “blurly” if we are made in HIS image. Jesus is not a fuzzy, out-of-focus, ethereal concept floating out there somewhere. He is real. He lived! He died, and He rose again. He will come back and bring us to himself! < Good problems. Good God.